Paragraph is a Block derived element used to group Inline elements like a Run, Shape, Field etc. 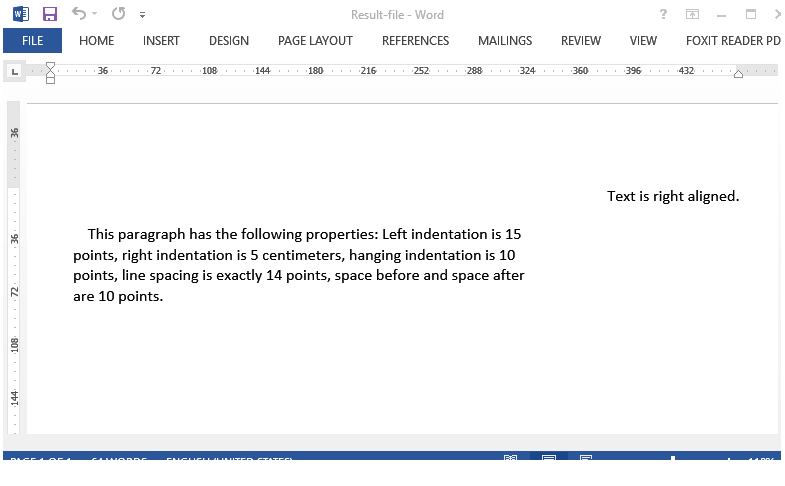 In this code example, we create a document with some paragraph formatting options. /// Creates a new document with a paragraph.
''' Creates a new document with a paragraph. Dim filePath As String = "Result-file.docx"